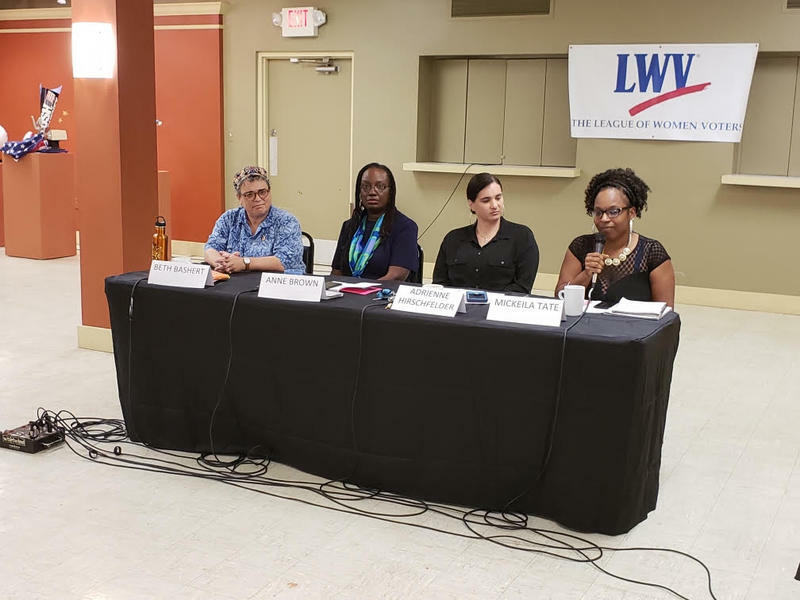 (From L to R) Beth Bashert, Anne Brown, Adrienne Hirschfelder, and Mickeila Tate at the Ypsilanti mayoral candidate forum at the Riverside Arts Center. Public forum at Ypsilanti's Riverside Arts Center. "The candidates will be on the ballot in the November general election on Tuesday, November 6th." 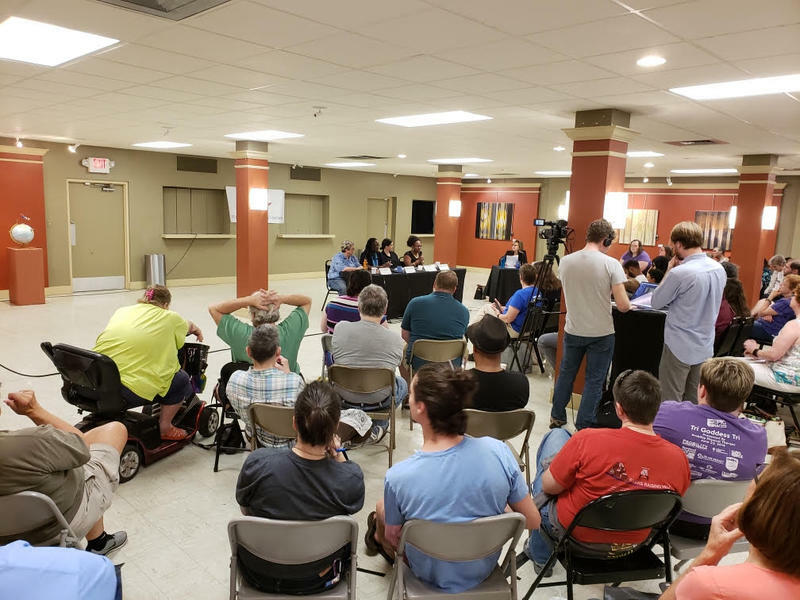 More than 100 people attended to hear to their mayoral choices had to say on the issues. Political newcomer Mickeila Tate says, after being a victim of violence in the city, she wants to affect real change. "I'm fed up with the system. I'm a product of the system in this city. I'm a product of the poorness of this city. I'm a product of the corruption that is the head of the house that's over this city." Eastern Michigan University lecturer Adrienne Hirschfelder has also qualified for the ballot. She says, if elected, she'll focus on repairing roads and creating more affordable housing instead of continually addressing the same issues over and over. "I can imagine an Ypsilanti that is not obsessed with and traumatized by Water Street. 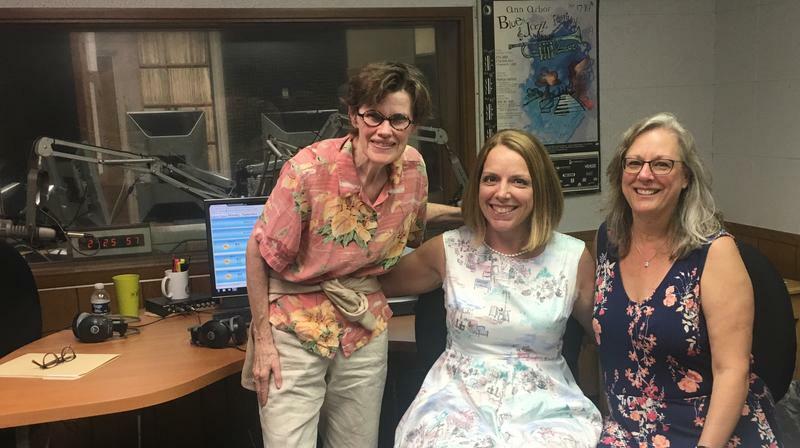 I can imagine an Ypsilanti with an engaged, diverse community working together for our mutual interests." 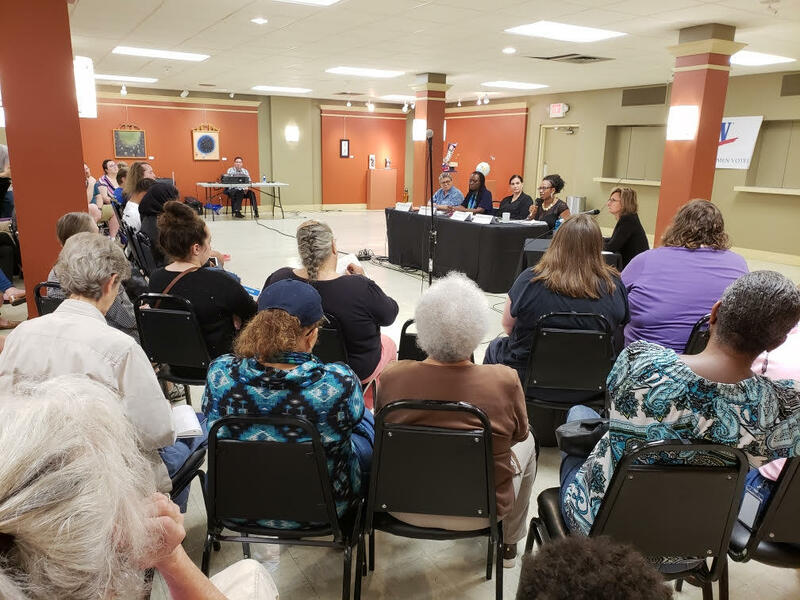 Things got somewhat heated when 2nd ward city council member city council member Beth Bashert offered an explanation as to why she voted in favor of using $375,000 of a voter-approved countywide millage for mental health services to fund affordable housing and park projects. "That's not enough to do mental health services. That really is not enough. It can pay for maybe a few staff people and an office, and that's about it. And that would not make a difference." Former city council member, and ballot-qualified candidate, Anne Brown disagreed with that perspective. "Our schoolchildren, particularly in Ypsilanti High School--many of them are living in traumatized situations. That money could've gone towards a counselor at the school to help in a trauma center." 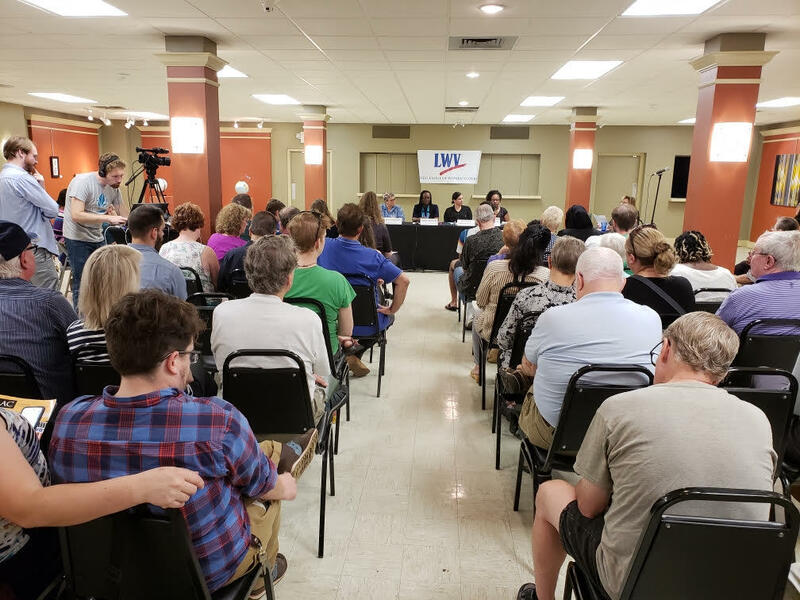 The forum was presented by The League of Women Voters of the Ann Arbor Area in partnership with the Ypsilanti District Library at Riverside Arts Center. Voters will make their decision on Tuesday, November 6th. The deadline to register to vote has passed. 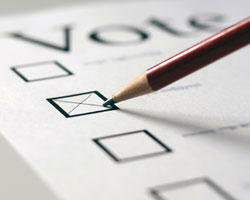 Absentee ballots are available at the city clerk's office through 2pm Saturday, November 3rd. The mid-term elections are about a month away, now. Typically, turnout for mid-terms is much lighter than in presidential election years. This year, the political climate is tense and polarized. That appears to be manifesting itself among younger voters with a new sense of interest. 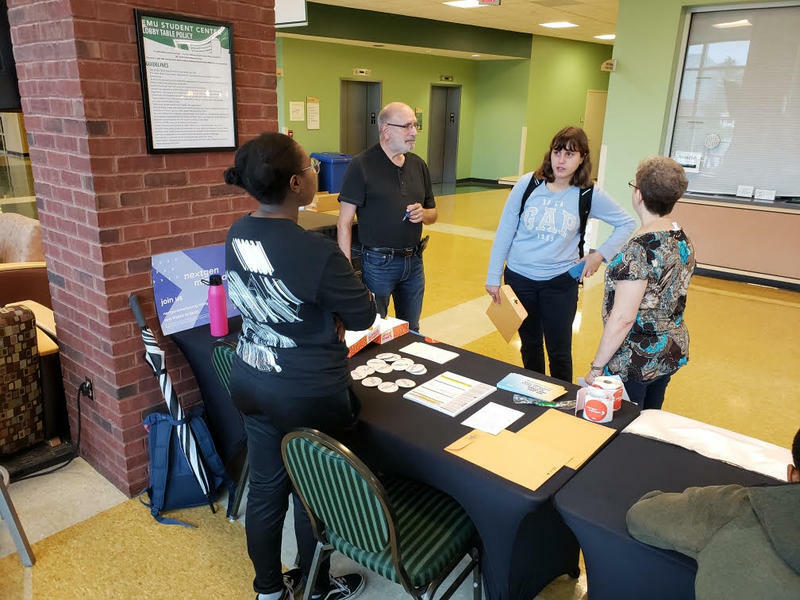 In looking at Washtenaw County, if newly registered young voters turn out, it could help determine outcomes in November.